The Slender Seaver Anthias kicks of a list of five first-time Australian offerings at Los Angeles, CA, aquarium livestock distributor Quality Marine. 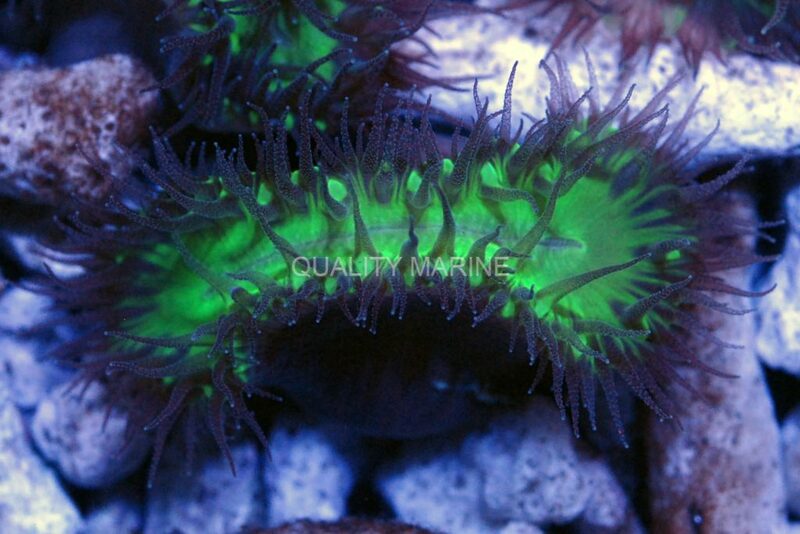 Quality Marine has imported five species of coral and fish for the first time from Australia. Our Australian partners supply Quality Marine with an extensive list of rare and beautiful species, and are a model for their commitment to sustainable collection. The Slender Seaver Anthias (Luzonichthys seaver) was just described back in 2015 from two specimens that were collected in Micronesia between depths of 90 to 100 meters. The Slender Seaver is the seventh member of the Luzonichthys genus, which is also known as splitfin anthias because their dorsal fin is separated. Unlike many other anthias, there does not seem to be sexual dimorphism with L. seaver. 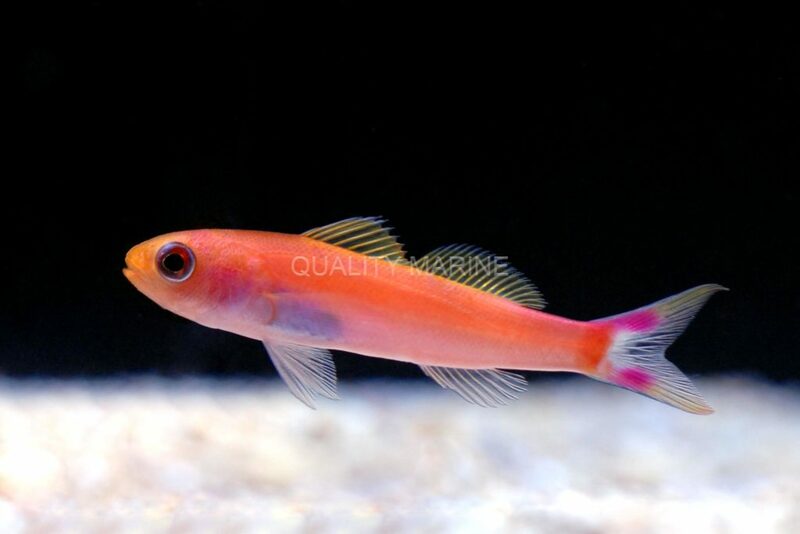 Not much is known about the Slender Seaver Anthias; however, it does appear to be the most attractive from the genus and we are ecstatic to have them here at Quality Marine. Another first at Quality Marine, this cute Neon Triplefin, Helcogramma striata. The Neon Triplefin Blenny (Helcogramma striata) is a tropical fish found near reefs in water between 0 and 30 meters deep. Adults are generally found in small groups or singly on sponges in coastal reefs. In the wild, they feed on zooplankton that drifts past them. 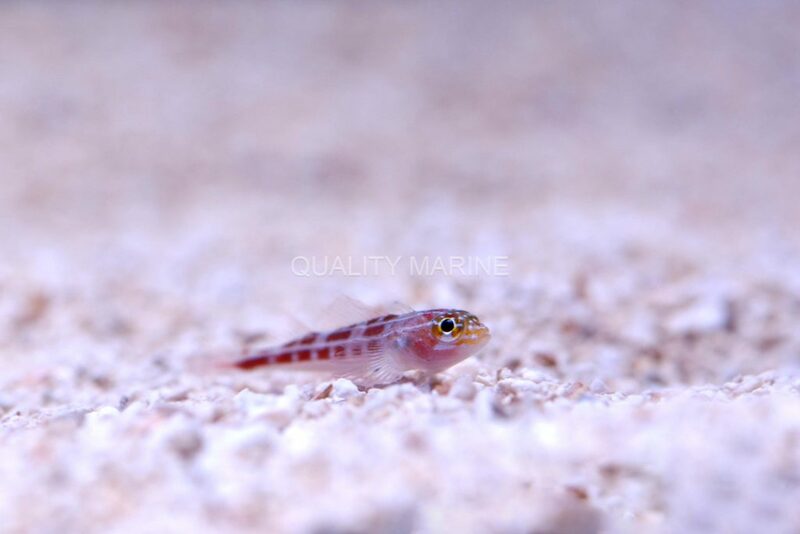 Synchiropus morrisoni is a name often misapplied to other similar red dragonets, but the true Synchiropus morrisoni is only making its debut at Quality Marine in 2018. The Morrison’s Dragonet (Synchiropus morrisoni) can be seen scooting around algae-covered rocks in reefs from 10 to 40 meters deep. There they feed on small benthic invertebrates and zooplankton. 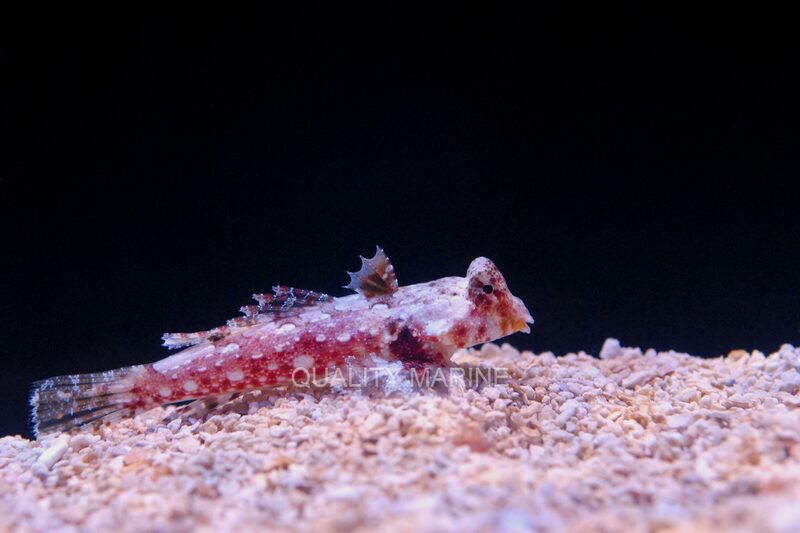 This mottled red dragonet will only grow to be about 3 inches in size, which, coupled with their camouflage, makes them very difficult to find in their natural habitat. Fish aren’t the only first-timers; the coral generally called a “Walking Dendro,” Heteropsammia cochlea, makes a debut at Quality Marine. The Green Walking Dendro Coral (Heteropsammia cochlea) is relatively new to the hobby and is impossible to not be impressed by. They look similar to a Duncanopsammia coral (commonly known as Duncan or Whisker Coral) except the Dendro will actually move around the aquarium, which is how it got its name. This coral “walks” via a relationship with a sipunculid worm commonly known as the peanut worm. The coral benefits from the worm moving it about where it can find food. In addition, this coral is typically found in mud flats, where it could easily get buried without the help of this worm. It is unknown whether the worm benefits or is harmed by this commensalism. For the SPS lovers, this Australia Pillar Coral, Psammocora sp., adds a new growth form to your coral options. The Pillar Coral (Psammocora sp.) 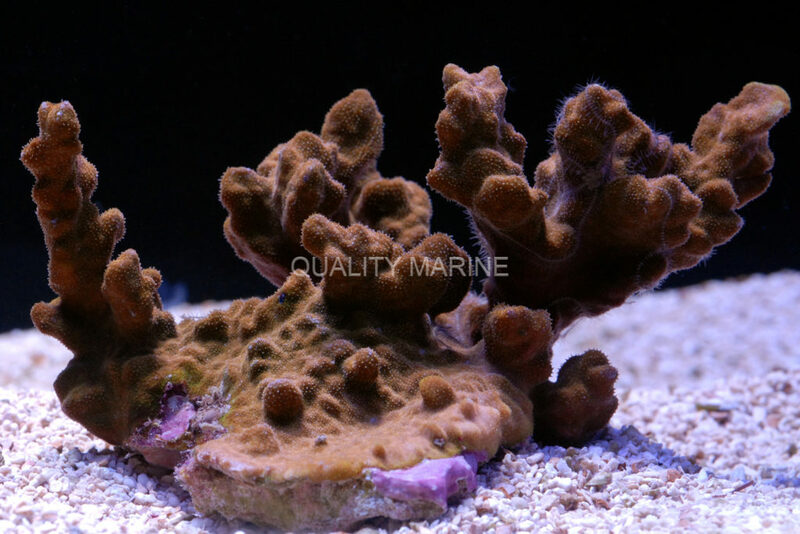 has an unusual growth form for SPS coral: it will first encrust its surrounding surface, then begin to grow thick branches that are usually very irregular. This coral can be placed just about anywhere in the aquarium as long as it experiences moderate to high flow. It is very important to keep detritus from settling on Pillar Corals. They can handle most lighting levels, but if placement in high lighting is preferred, then be sure to acclimate it slowly. Very, very few of these species show up in the aquarium hobby, so it’s quite a treat to see them here at Quality Marine. Our Australian partners are Short Supply Chains, which offer the shortest transit and holding times, as well as being some of the most sustainably-harvested and sustainably-managed collection sites.